Every now and again things fall into place and Saturday was one of those days. 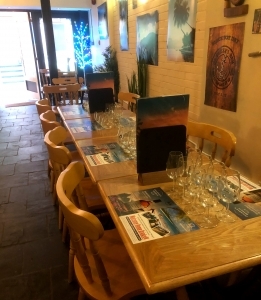 Travelling to Manchester presented an opportunity to attend one of the monthly Rum tastings at Marigot Bay Bar and Cafe in Altrincham. 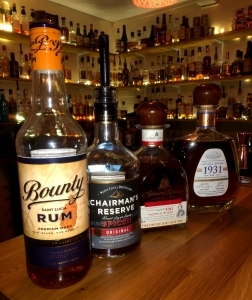 This month showcased the Rums of St Lucia. Prior to this my experience had been of Chairmans Reserve so I was looking forward to expanding my knowledge and experience. We received a warm welcome from Dave who is also brand ambassador for St Lucia Distillers, a Mai Tai was served to start off the tasting. 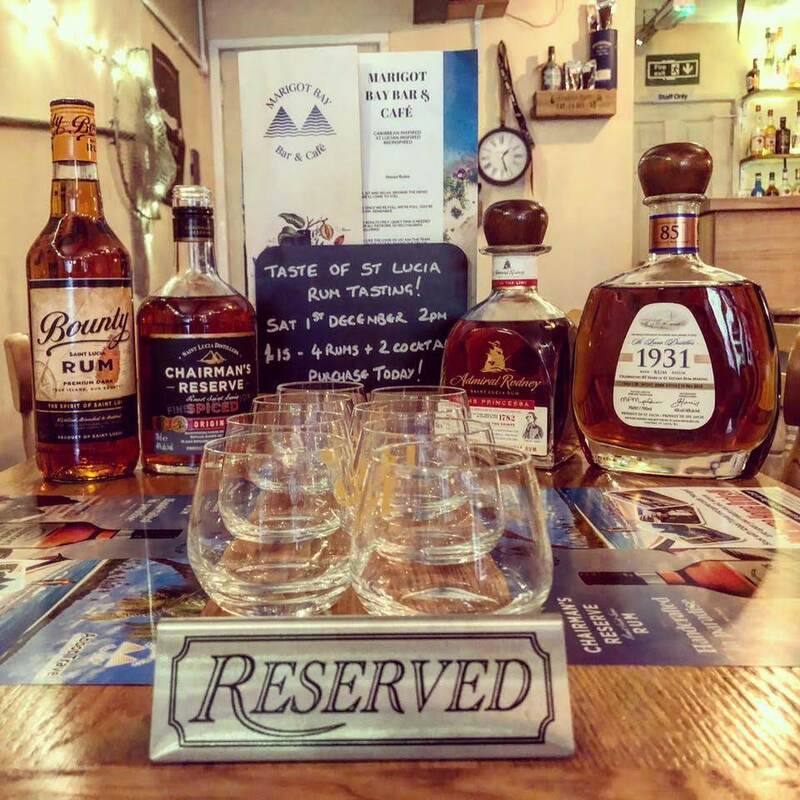 The tasting included four rums and a couple of cocktails for £15 showcasing the St Lucia Distillers portfolio. After sharing a little bit of background of the distilleries and history of St Lucia it was clear Dave’s passion for rum started with this little island. First up was Bounty Rum Premium Dark, previously only available on the island and launched in the UK at the Notting Hill carnival earlier in the year. The rum comes from the Roseau Valley distillery, aged 2 years and bottled at 43%. This rum was produced for St Lucian locals and is one in a large range including Coconut, Dark, Light, Spiced and Gold (all stocked at Marigot Bay). St Lucian rums are lighter in style. On the nose was a Citrus note with familiar Vanilla. On the palate were hints of both but with a short finish. Dave continued to share his extensive knowledge informing us that the Bernard family created Chairman’s Reserve for the European/USA markets whilst also continuing with the production of Bounty for the locals. Next up was Chairman’s Reserve spiced. It is worth noting that the original was first released in 1999. The distillery has open air fermentation for 48/72 hrs depending on the tropical heat and then the rum is distilled using both copper pot and continuous column stills and then blended using spring water from under the distillery. The rum is matured in American oak casks – Jim Beam, Jack Daniels and Buffalo Trace – separately by still, then blended and reintroduced to oak for a further six months to marry. 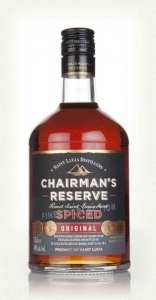 Chairman’s Reserve spiced bottled at 40% came out in 2010. It has fresh spices of cinnamon, clove, nutmeg, vanilla, coconut, all spice, lemon, orange and Richeria Grandis – known locally as “Bois Bande” – a bark renowned in the Caribbean as a potent aphrodisiac to give an added kick to the rum. There is sugar in this rum but only a couple of grams. The rum is a Blend of the three different barrels then aged again for a further 6 months during which the additional spices are added with spring water to dilute to 40% before bottling. Whilst I enjoyed the tasting Mrs F enjoyed a Marigot Bay Hot Toddy using Chairman’s spiced (1 bottle CR spiced, 2 litres apple juice, cloves and cinnamon sticks, heated) which was rather tasty! Next up was a new expression, Admiral Rodney HMS Princessa . This is one of 3 in a range expanding on the original Royal Oak. 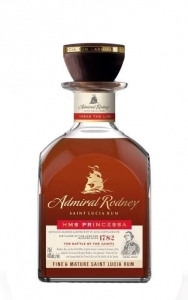 Admiral Rodney was a real Admiral who has both a bay and a fort named after him in St Lucia. The range is bottled in a ships style decanter bottle with the other being Formidable (they are all named after Admiral Rodney’s ships which saw off the French from the island). Princessa is distilled in the column still only (blend 5-9 years). This was very paletable and well balanced. 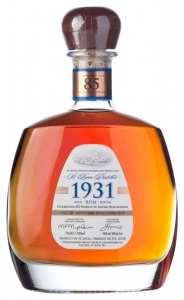 The last of the tasting was the St Lucia Distillers 1931 6th edition. 2889 bottles were produced and it was released in 2016. This is a blended rum of 6-12years and is the last in this series of ‘originals’. I have never tasted any of the others and doubt I will taste them all as editions 1, 2 and 3 are very rare. From now on a standard 1931 blend will be released and will not vary in flavour profile like the others. This was the highlight for me. It was full of flavour and has a lovely long finish. Fortunately Dave has editions 4 and 5 behind the bar so I was able to try these as well. All I can say is wow! Edition 5 was my favourite and is now on my wish list. 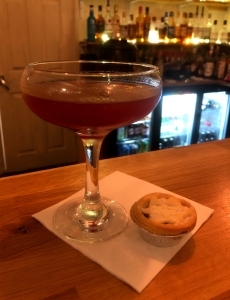 The tasting ended with another cocktail from the St Lucia specials menu and I chose the festive ‘mince pie’. Overall a bargain for £15 and a great experience for those looking to expand their knowledge. I look forward to attending future tastings! 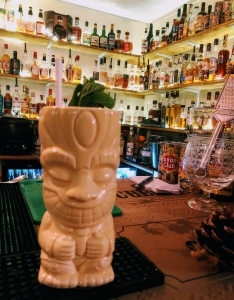 Manchester Rum Festival Returns! A Year in Rum!